Sometimes furniture makers seem to have collectors in mind. Published on Monday, May 22, 2017. This article appears in the April/May 2017 issue of American Craft Magazine. 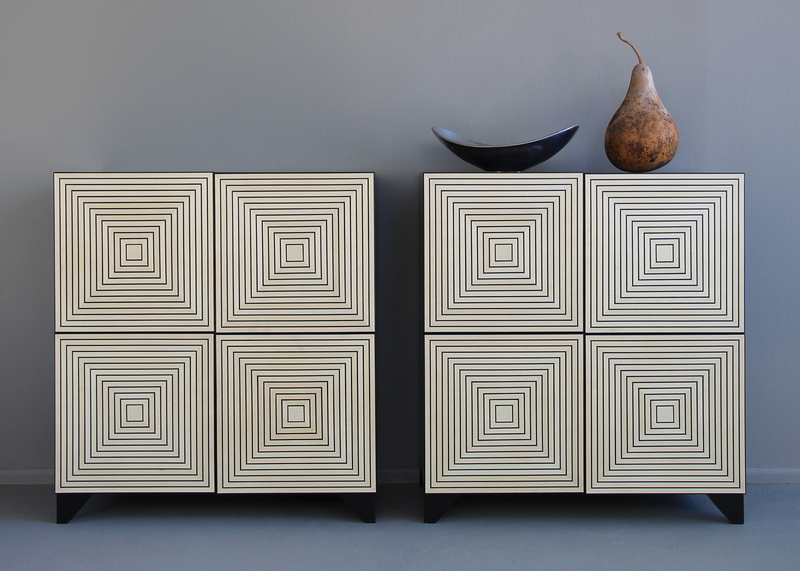 San Francisco maker Dylan Gold’s Twisted console, of bamboo and steel, boasts eight surfaces – 10, if you’re bold – for artwork. Together, they form a striking stage for a color story – or maybe a chronology of one artist’s work, with the tilted compartment as the surprising plot twist. Dutch designer Reinier de Jong knows a truth about collections: They expand, and they contract. His Rek case, made of HPL (paper laminate) and recycled polypropylene by Dutch craftspeople, can shrink and grow with its contents. Fully extended, it’s more than 7 feet wide, offering more than two dozen surfaces. That’s a lot of vessels. 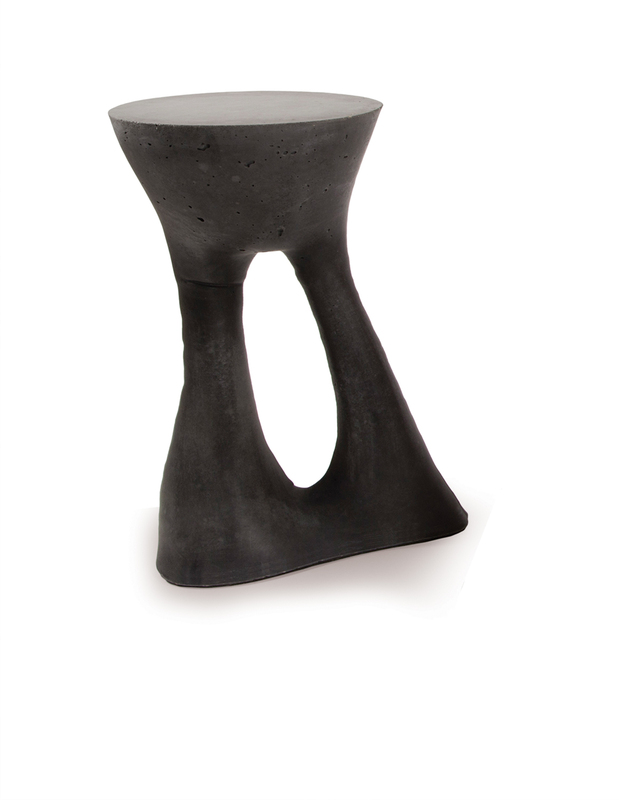 Designer Isaac Friedman-Heiman gives Kreten, a leggy side table in concrete, a presence all its own. The piece, made in Brooklyn for Souda in two colors, doubles as a pedestal for an extraordinary object. Wise heads say you should periodically swap out pieces of your collection so they seem fresh the next time you see them. But who does that? 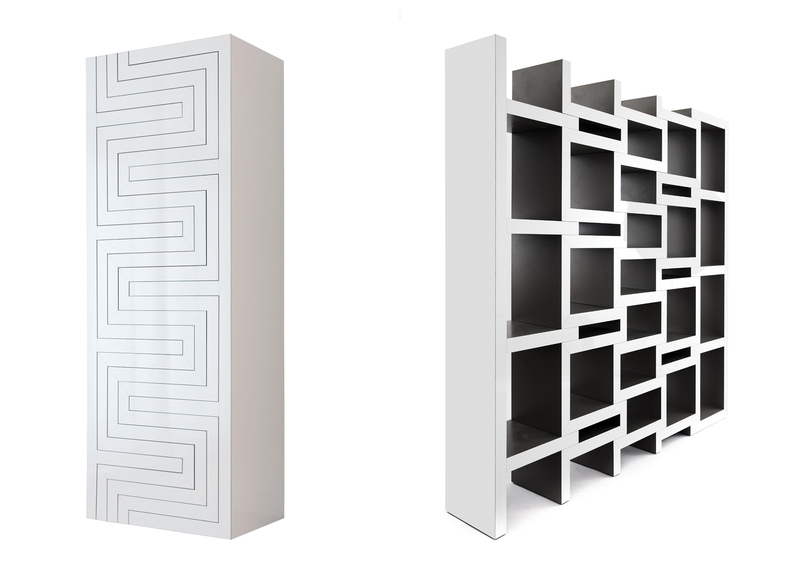 Maybe the collector who owns Phoenix maker Kevin Irvin’s Maze Cabinet Console. Each cabinet, available in a variety of woods, has four cubbies for storage, making rotation a breeze. Maybe it’s for the living room, maybe for the bedside. 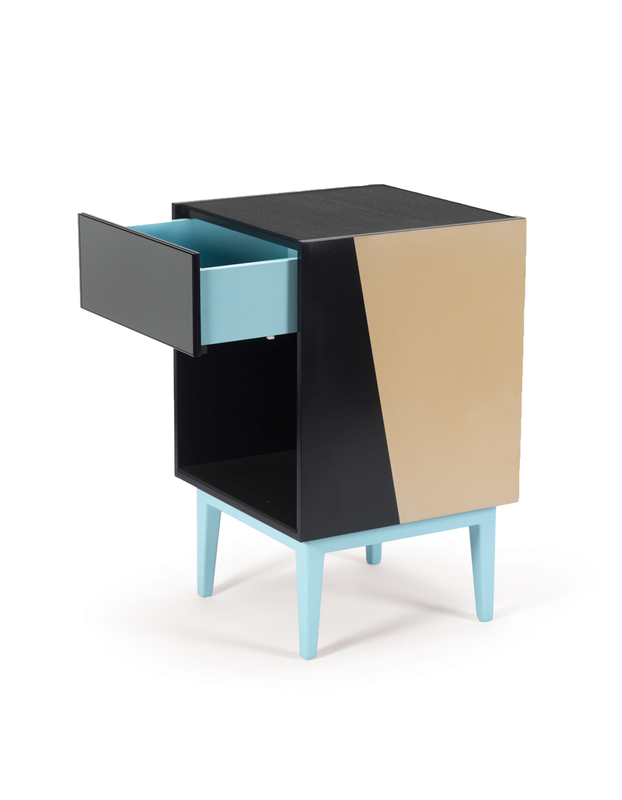 Either way, San Diego maker Liz Koerner’s color-blocked Skylark table has two spots for display, above and below the drawer. Tuck away small treasures in the drawer to help bigger pieces shine.